Passing Mt. Satu is the second album from Sweden's Solander, and shows a more focused and determined band whose music is now finally getting widely spread in the US. The playful songwriting results in an album wherein the mood swings from one song to another and keeps the listeners’ ear guessing. Everything is tightly bound together by the characteristic voice and guitar picking of Fredrik Karlsson, the innovative playing of cellist Anja Linna and the driven rhythm section handled by Mikael Persson. 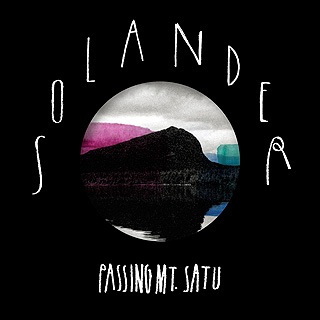 Solander adds touches of unconventional banjo playing, metallophones, haunting organs, distorted hand-claps, a passionately played piano and lots of other odd sounds spread throughout the album. The CD has a delightful custom made package.